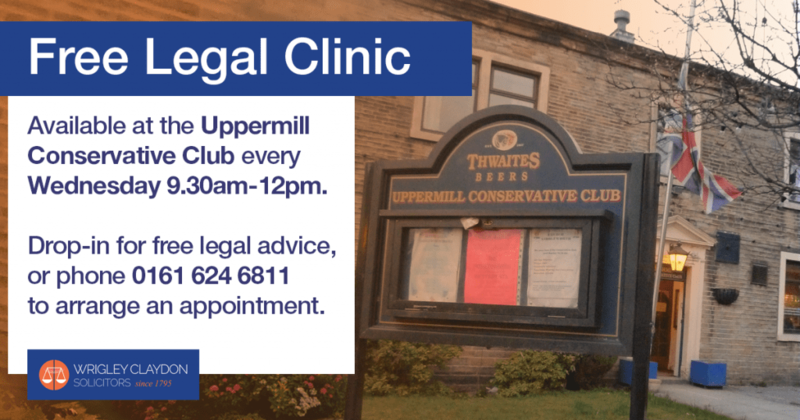 We hold free legal clinics at the Uppermill Conservative Club every Wednesday between 9am and 12.30pm, and in our Todmorden Offices every Thursday between 1pm and 4pm. 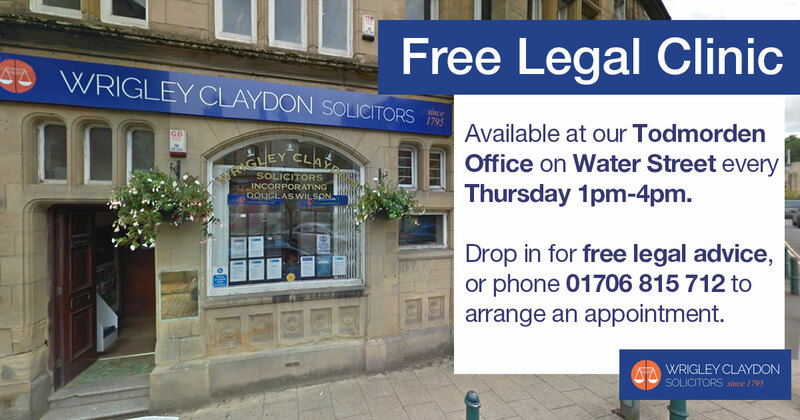 The free appointments with professional and experienced lawyers provide people with the opportunity to seek advice about any legal matter (excluding criminal). The aim of this complimentary service is to provide initial advice, on a wide range of legal issues, to those within the local communities. For more information choose which day will be more suitable for you.